The fact that I can’t replace the battery on my iPhone has never been a problem for me. I’ve had pretty good luck with it, but I miss having the backup of an extra battery that I had with my old Treo. It’s one of those things that kind of sit in the back of my mind nagging me a bit. Now, the Mophie Juice Pack can alleviate that nagging worry, but only if I’m willing to pay a hundred bucks. The Mophie adds quite a bit of bulk to your iPhone, but for those of us used to dealing with the Treo, it feels like old times. When I used to be a real estate agent, I was on my phone all day long. There is no way the iPhone would have lasted me. I would have had to keep it plugged into my car the entire time I drove from listing to listing. Is that people are doing now? If you’re willing to bulk up your phone a bit (it was never a problem for me because I keep my phone in my purse), then the serenity of have twice the battery time is worth the extra money. This ingenious device is EXACTLY what every camera needs. It looks like an ordinary wrist strap for your camera, but when the time comes to download your photos onto your computer, the wrist strap opens up and becomes a USB cable. Each of them cost as much as a normal camera lanyard would cost, so they are inexpensive as well. Try them out! I have never considered myself a pen snob. I have happily written page after page in my personal journal with a lowly Bic Pen. In fact, for years, my favorite pen was the Bic 4-Color Pen. That was until I was introduced to the Coleto Pilot Hi-Tec-C Pens. They come in 3-Color and 2-Color sizes, so you can have three colors in one pen, which is very nice if you like to write in a variety of colors. More importantly, the pens come EMPTY and you can CHOOSE the color of ink that you put in them. When you use up all the ink in one color, changing it is easy. You just lift the lid, remove the empty ink cartridge and replace it with a new one. In fact, since I’ve started using these pens, I’ve refused to use any others while writing in my journal. I love the color selection. The gel ink NEVER skips and the pens are easy to hold. The only problem with these pens is that they aren’t readily available in Utah. I can’t just run over to Office Depot to get refills. Aside from the difficulty in obtaining the pens and ink, I LOVE them. I wonder why the Pilot company hasn’t released them in the U.S. because I absolutely adore them. Since I’ve been walking the dogs with NakedJen recently, we have had to go quite early in the morning before she heads off to her glamorous work for Sundance. That means that we are trying to play fetch with the dogs in the dark and it’s hard for them to find the normal tennis balls in the unlit areas of the park. 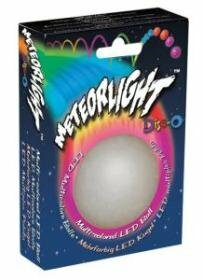 On those dark mornings, Jen brings her Meteorlight Light-Up Dog Ball. It works with the Chuck It, so she can throw it for yards and yards, but the dogs can still see it because it lights up. It’s so fun watching Buddha and Stella chase after the light up ball and watch them run back with it flashing in their mouths. If you have to exercise your dogs in the dark mornings and evenings of winter, this light up ball is a must-have. May you have a lovely Christmas and may you receive all the gadgets of your heart’s desire! Take the time to enjoy your family and the other important people in your life. What’s the point of having cool gadgets if you can’t show them off to anyone? Continuing with dog gadgets that NakedJen has introduced me to, there is the Chuck It Ball Launcher. If you have a big dog that needs a lot of exercise, this is an easy way to play fetch without getting slimy hands. Buddha and Stella have enjoyed many mornings of chasing after tennis balls and lacrosse balls with the Chuck It, all without us having to endure slimy balls. If there is a dog in your life that loves to play fetch, try using the Chuck It. Since I started joining NakedJen and her dogs, Stella and Buddha, for their daily walk, I’ve been happier. The icy winter sidewalks however are a constant threat. Stella and Buddha are huge black labs and when Buddha sees a cat, he could pull my arm right out of its socket trying to get it. 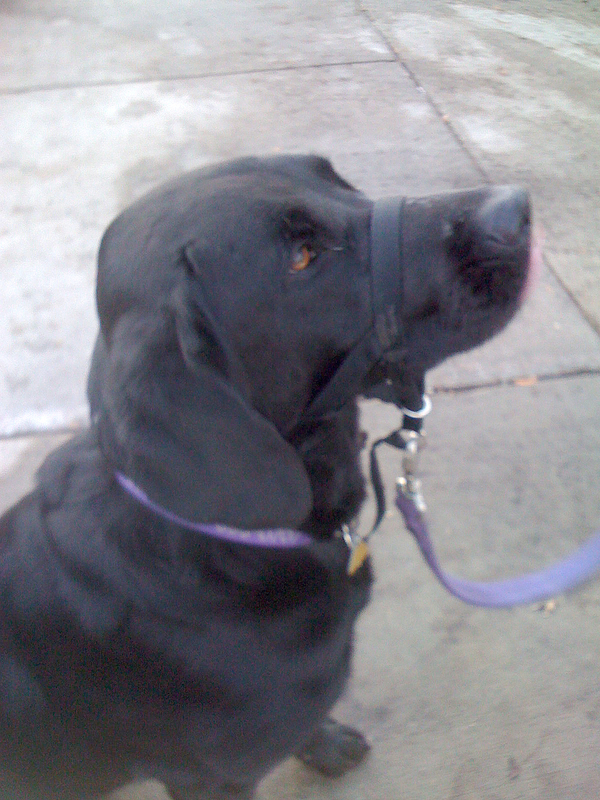 Earlier this month, Jen started using the Halti Head Collars on both of the dogs and suddenly, it is SO much easier to take them on a walk. The Halti doesn’t choke them, like a choke collar would. It pulls their heads toward you if they try to run off. It’s pain-free for BOTH of us. More importantly, since they can’t pull, walking on the icy roads is merely a matter of keeping myself upright instead of trying to battle an energetic dog AND keep myself upright. If you have stopped walking your dog because training didn’t work or maybe because it’s just too icy outside, try a Halti and see if it transforms your dog the way it did for Stella and Buddha! I realize that this is an obscure problem that hardly anyone will need an answer for, but if you do, this will be a godsend. For years, I used Bloglines for my RSS reader, but it has been sluggish lately. Everyone was raving about how easy Google Reader was, so I decided to try it. It wasn’t perfect, but it was easy to use and updated the blogs quickly, so I have been using it regularly with Bloglines a distant memory kind of like Netscape became after AOL bought them. …it would automatically take me to Bloglines. EVERY recommendation that I could find online just said that I should choose Google when the subscribe box came up, but it never came up. It just took me to Bloglines, which took its sluggish time loading before I could scream in frustration. The reason most adults play video games is to RELAX. We have a few minutes before we go to bed or maybe want to unwind during a stressful flight. 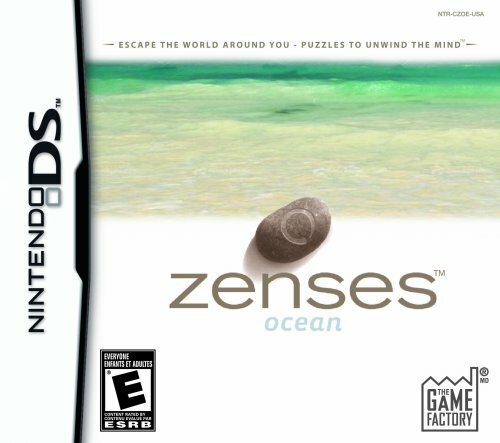 The Zenses games from The Game Factory understands that perfectly. 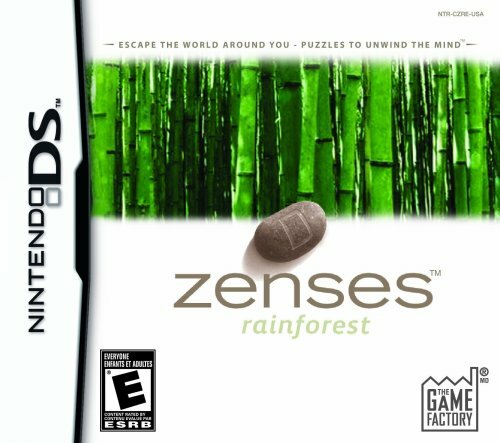 The games come in two flavors: Ocean and Rainforest. They both have beautiful soundtracks with relaxing sound effects that make playing the games fun and meditative. I bought the Ocean Edition while I was traveling so I could have something to do on the four hour flight that would distract me from the cramped quarters. Instead of turning off the audio (which is what I do on many video games), I put in my headphones and listened to the calming water while I moved around seashells. All the games are fun, casual gaming type of games that are easy to learn and addictive to play. I am getting the Rainforest Edition for my next trip and the flight should be an easy escape. I know it’s winter and my grass is currently hiding under a layer of snow, but that doesn’t stop me from worrying about what to do with it when spring comes. I HATE to mow the lawn. I HATE to maintain a lawnmower. I’ve never found a competent landscaper. Right now, the idea of ForeverLawn sounds wonderful. ForeverLawn, Inc. – Grass without limits. When I first saw it, I thought that maybe this kind of lawn wouldn’t work in Utah because of our snow, but there is a dealer in Utah AND they even have synthetic lawns that are specifically meant to withstand dogs. It sounds like a dream come true to me. If I had to choose whether to put in automatic sprinklers or just replace my lawn with astroturf, I’d choose the ForeverLawn in a heartbeat. It’s not as good for the environment as growing your own garden, but honestly, I’m never going to do that. This way, I save water and still have a gorgeous green grass.